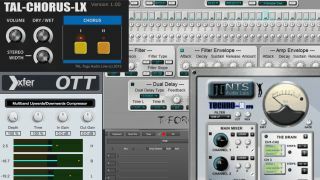 Fans of free music making software have endured a bit of a barren period over the past month or so, but just as the weather has started to turn and we're hunkering down for a winter of a music making, so the steady flow of no-charge downloads has returned. If you've ever struggled to locate a REX/WAV/AIFF file or Kontakt patch, this utility may be of some help. It enables you to organise the aforementioned files using 20 tags - files that you then search for and locate can be previewed in sync with your VST host.